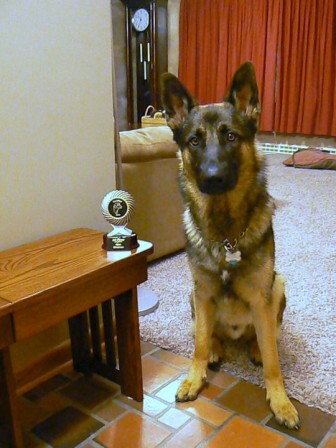 I have decided to put all our accomplishments on Facebook now..
Jake (Logan x Mea) takes a 1st place in Novice A and 2nd in Rally Excellent A at the GSDCA Nationals (2011)!!! 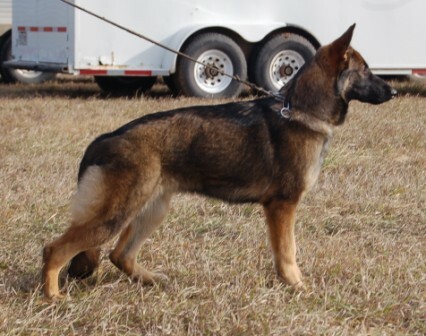 Ceyla (Logan x Angel) takes a 1st place in Grad Novice and got at 96 in Rally Excellent B and a 99 in Rally Advanced B at the GSDCA Nationals (2011)!!! Ceyla (Logan x Angel) earns her Rally Excellent title ! Ceyla (Logan x Angel) earns her AD and BH in the same day! Ceyla (Logan x Angel) earns her CD and RA and also takes High In Trial !!!! 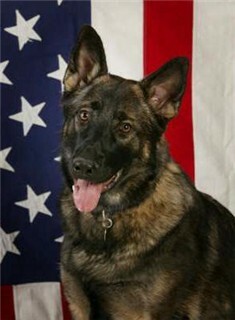 Cash (Logan x Angel) earned his CGC! Jake (Logan x Mea) finished their Rally Advanced Title!!!! Vader "Scout" (Logan x Mea) earned his Advanced Trailing Certification for Search and Rescue!!! 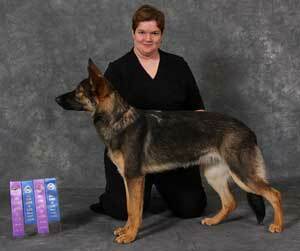 Valley (Logan x Mea) earned her BH and SchH 1 in Germany !!! 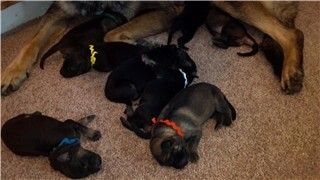 Valley (Logan x Mea) is currently over in Germany for training and titling ! 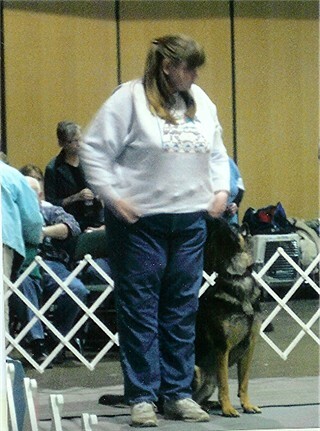 She has already competed in a conformation show and took SG6 out of 14 dogs! way to go!! 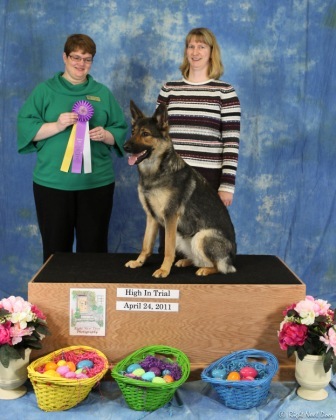 Jake (Logan x Mea) earned his CGC and 2 legs towards his RA title at the Land O' Lakes Dog Show! What a team! 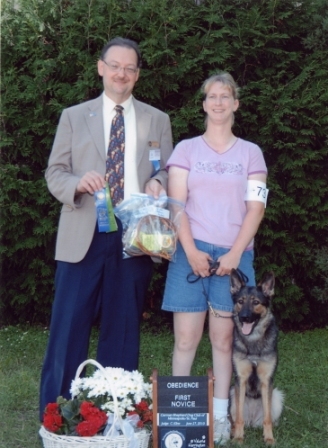 Ceyla (Logan x Angel) earned her Rally Novice title, earning 99/100, first place and HIT Rally Novice at the SPDTC October 8th, 2010. Jake and Valley (Logan x Mea) with Judge Paavo Rapila earning their AD at Maching Strom Trial ! Ceyla (Logan x Angel) earned a Best of Winners !! and 3 1st class placements from the Junior female class. UGSDA July 17-18th, 2010. Ceyla (Logan x Angel) competed at the Dock Dogs Dock Jumping event at Redwood Falls, MN and did a super job at only 14 mo. old. Her best recorded jump was 13' 6" ! July 8-11, 2010. Ceyla (Logan x Angel) and Valley (Logan x Mea) both received their SG ratings at the NC Regional Conformation Show June 12th, 2010. Judge was Johannes Grewe. Ceyla (Logan x Angel) earned 2 Reserve Best Female and 3 1st placings from Puppy Female class at the UGSDA Conformation show Dec. 4-5... and again on April 3rd !